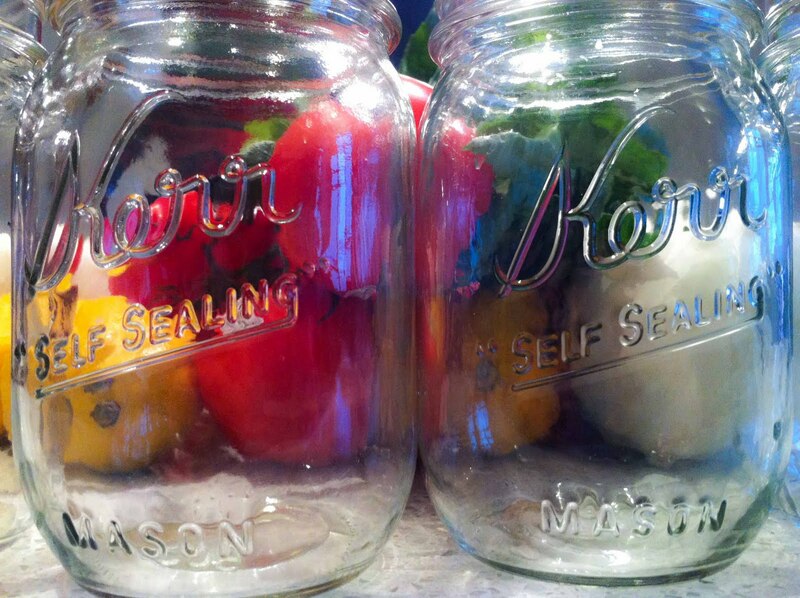 I LOVE canning (there I happily admit it). I have mainly focused on jam (and dabbled with salsa once) and have had a lot of success with various flavors (I'll post some recipes at some point). 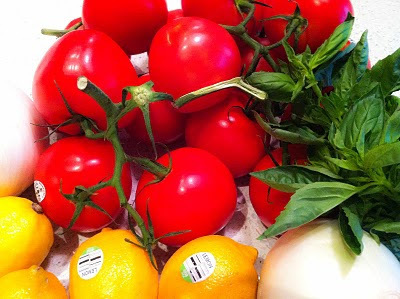 I have really been trying to focus on seasonal fresh food. Given that the farmers market had so many great tomatoes available I decided to dabble in tomato sauce. In reading up on recipes I discovered a genius recipe that was multi-purpose (and in my opinion perfect for canning) and this recipe that fit my canning needs. I (of course) had to adapt both recipes to create my own concoction (sans garlic - based on an allergy). I love this recipe because if you make it chunky it can be good for bruschetta and if you make it smooth its great for pizza sauce and somewhere in the middle is the perfect base for pasta sauce. I plan on adapting each jar into something unique! Some of my thoughts are; adding meat to make a meat sauce, adding cheese to create a delectable creations, incorporating spinach to get more vitamins and the list goes on and on! 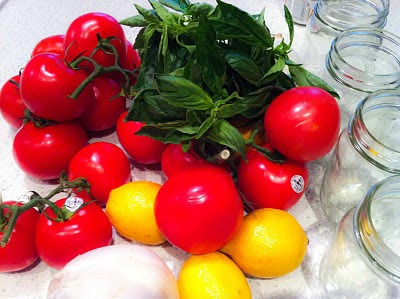 As always the most important thing with anything canning is the ingredients you choose! 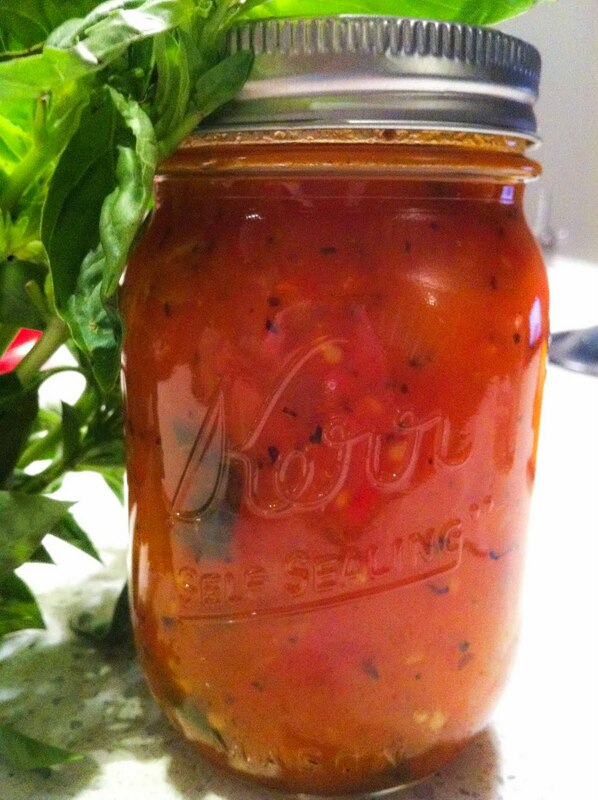 Below are some images of my canning adventure as well as the recipe I followed (er - made up!). Once onions are slightly caramelized add them to large pot with chopped tomatoes (roughly chop tomatoes). 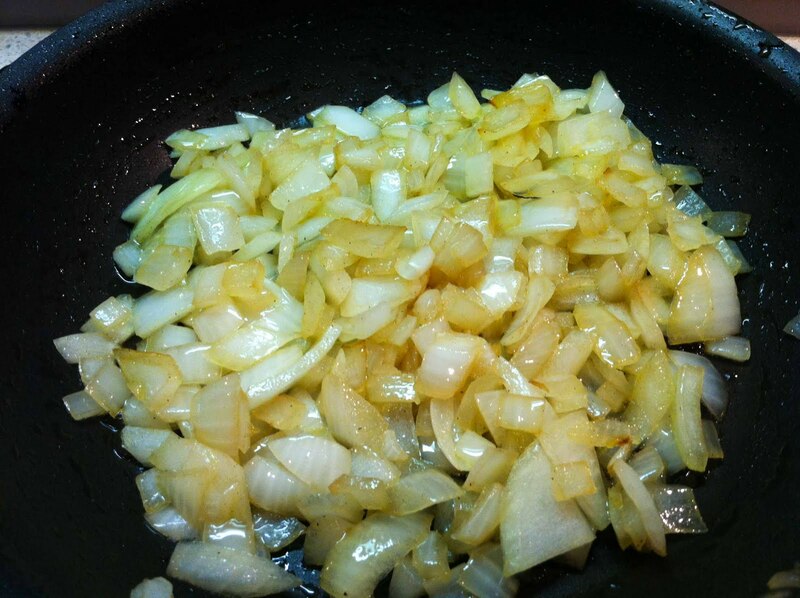 Bring tomatoes and onions to a boil and then let simmer until cooked and soft (aprox 20 to 30 minutes). Optional - blend aprox 1/2 (or whatever ratio you want) in a blender to desired consistency. Add all additional ingredients and cook to desired flavor (to taste test I recommend taking a piece of bread and dipping in mixture). Once you have your desired flavor add to jars and boil jars (follow canning instructions). Can't wait for my next kitchen gadget to arrive! This is amazing! I can't wait to do this with you!